Another music entry? Why the hell not! I've been writing more about music lately, simply because I haven't been playing much of anything, one hour of fun with Fatale being an obvious exception. I'm still trying to get things sorted with Microsoft and my Xbox 360, but that's a whole new story for a separate entry, which will be posted here once the whole matter is resolved, one way or another. Consoles and games aside, yesterday I got the No More Stories EP by Mew and I like it. Mew is a band that's relatively new to me and I first heard their music back in 2003. They became popular throughout the whole Scandinavia when 156, a single promoting their third studio album called Frengers was released. The band also performed at the Roskilde Festival that year, which further increased their popularity. Mew are one of the best bands within their genre - their take on dream pop with a twist of new prog has a unique flavour to it and so, Frengers was all it took. Ever since that album I was hooked for good. 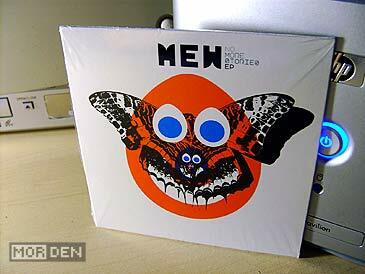 In August of 2009, Mew released their fifth studio album called No More Stories. I like to ease myself into a new record, so I usually start with a single or two, but as of May, the band released a single track and the only way of getting it was via a digital download. It took another two months before the EP came out, but by then, No More Stories has moved down the priority list, until recently. I could have bought the album just as well, but I found the EP for cheap, and it's always fun to get the extras. 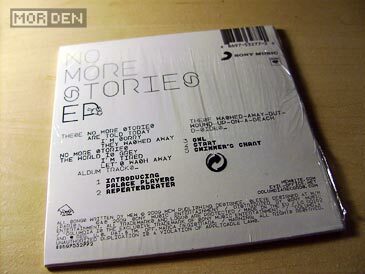 The No More Stories EP features five tracks, two of which can be found on the final album, and opens strong with the off-beat intro to Introducing Palace Players. This is the track that was released as a digital download back in May, and it certainly is a great choice for a single. It also has an amazing video directed by Martin de Thurah, which you can view by clicking the Nico link above. If Mew ever released a second single, Repeaterdeater would have been it. They didn't, so the song took second track number on the EP. The third track is instrumental and very ambient, and opens the calm Start, which again raises into the last song on the disc, Swimmer's Chant. No More Stories EP is a great appetizer before the main course. You can tell it has been carefully prepared and it's an enjoyable experience from start to finish. I am, of course, hungry for more. In other music related news, I have recently purchased two digital downloads, which is rather unusual in my case. 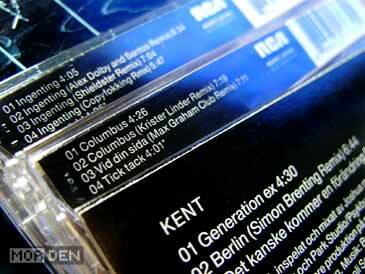 Kent released two tracks which won't appear on any of their albums and are available as digital downloads only. First track is called "2000" and was written as the opening song for the series of documentaries about homeless people. According to Kent, all earnings generated by "2000" will be donated to charity, and that's a cause I'm willing to support. 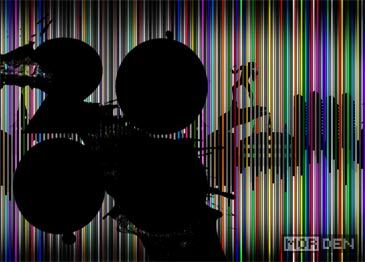 The second track is "Tuna 350", which is a twenty-minute long instrumental piece written by Martin Sköld and Markus Mustonen. The song was played during the show celebrating Eskilstunas 350th anniversary. Ok, enough about music. Remember when I wrote that I wasn't playing much of anything lately? 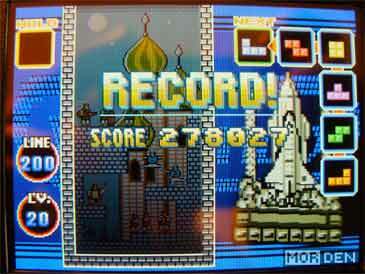 I wasn't lying, but I did play a little bit of Tetris DS, and I managed to beat the damn thing. It's no achievement really, and it's not like I was trying hard to beat it for God knows how long, but it felt good. I made a decent high-score and I saw the credits rolling, plus I didn't use the piece hold option, as you can see from the photo. That's it for today. Honey nut cheerio! 2009.11.14 Sat Music ♪ Comment Tweet This! Don't you just love it when the bands you like release discography collections or "the best of" discs, where they always manage to include a few tracks never released before? I know I don't, and there are exactly two reasons why - this makes you want to own the whole thing just for the sake of those few tracks, and these special editions usually cost more than they should. The overpricing may not apply to a single CD releases, but it certainly does apply to all sorts of collection boxes. 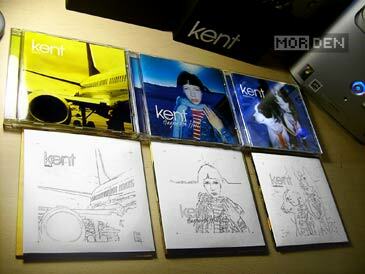 About a year ago, Kent has released their whole discography. 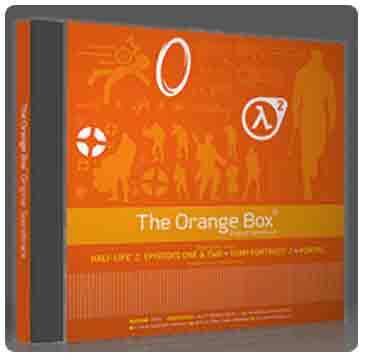 Nine albums on no less than ten CDs, most of them with additional tracks, all gathered in one single edition called "Box 1991 - 2008". At the day of the release, the price one would pay for this collection was $58, which I thought was more than fair, especially when compared to things like The Beatles' box of mono hits. For someone who already owned everything except for the previously unreleased material, this was still a high price to pay. 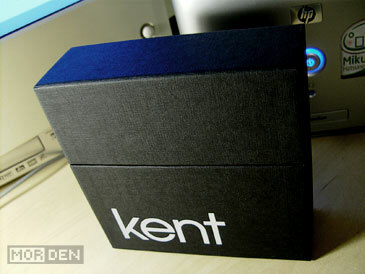 Fortunately, with the release of Kent's new album "Röd" approaching, some online stores decided it was about time to lower the price, and I was able to get the box for only $26, shipping included. I couldn't have hoped for a better bargain, since that's about as much as what I pay for single CD albums these days. The package arrived few days ago, and I have absolutely nothing bad to say about how this edition looks. The collection is packed in a glossy cardboard sleeve which, when removed, reveals a fabric covered box. In it are the CDs and a 96 page book containing all the lyrics and photos of the band, both private and from various tours. Every disc comes in a separate slipcase, which hides an envelope. 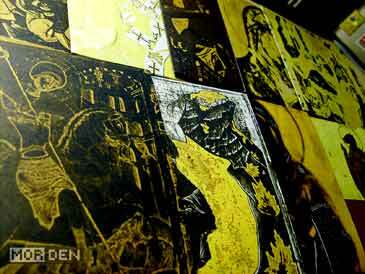 The slipcases feature stylized reproductions of Orthodox Christian icons and are made of thick, grainy paper. 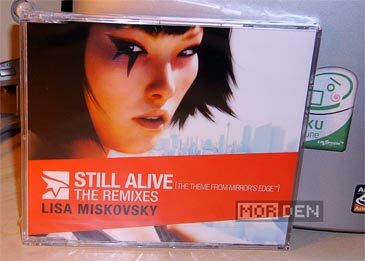 The envelopes hidden inside of the slipcases are white and feature black line-art versions of the original CD covers. 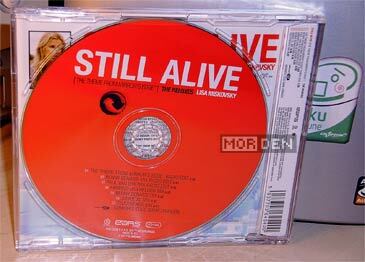 One exception being B-Sidor 95-00, which was originally a two CD album, featuring husky dogs on the cover. Since here it comes in two separate envelopes, the second CD has a variant cover, not featured in the original retail release. 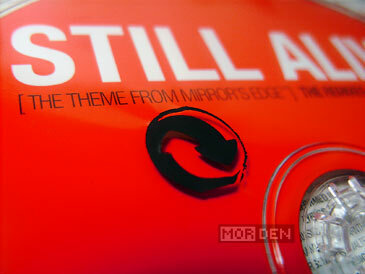 It's also important to note, that B-Sidor 95-00 wasn't a regular album to begin with. It was a collection of leftover songs that appeared on various singles and maxi-singles, hence the title. 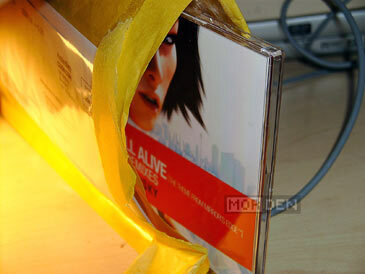 It also featured a handful of new songs, but the most of it was recycled material. B-Sidor discs are the only ones that didn't receive any extra content. 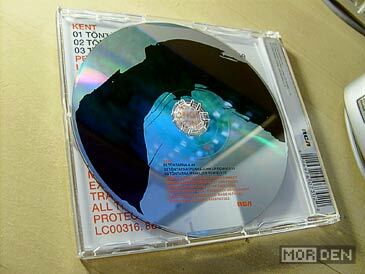 Every other CD has at least one extra track, some of them featuring up to five. 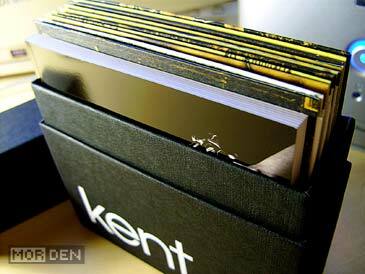 As a bonus on the first album, we get five tracks, four of which were recorded before the band changed their name to Kent. Two of those four tracks are credited to Jones och giftet and the other pair to Havsänglar. Die hard Kent fans have probably heard those tracks before, but it's nice to have them on the same album that made the band to what it is today. 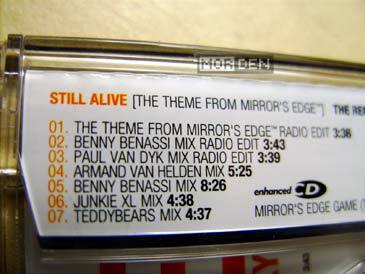 With Tillbaka Till Samtiden Kent started including various remixes of their songs when releasing singles, and these remixes are the only thing that can't be found on the collection discs. I can only guess that this is because Kent are not the exclusive copyright holder, but this only proves that buying singles does pay. You always get the extras before any kind of compilation gets released, and even then, you can't be sure that every extra track released on a single or EP will make it. Speaking of EPs, back in 2005 Kent released a special EP called Hjärta & Smärta, which featured five original tracks and came as a total surprise. This EP can be found in the box as well, with one extra track called Nålens Öga, which was released as an exclusive charity single, not being a part of any studio album. 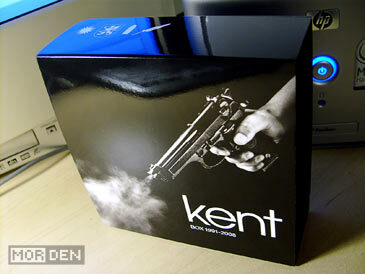 If you happen to like Kent's music, Box 1991 - 2008 is a must have. It's a great opportunity to get all their albums at once, plus all the singles and b-sides you might have missed. With the new album "Röd" being released, this collection is a perfect way of starting your journey through the world of Kent. I got it for cheap, and I know that Amazon, among others, sells it for over $100, but this box is certainly worth that price, especially for someone who doesn't own all these albums already. It's a very exclusive edition with the feel of luxury rarely matched at this price, so if you don't own it and you can spare the cash to buy it, don't even think twice about it and get it. 2009.11.12 Thu Music ♪ Comment Tweet This! 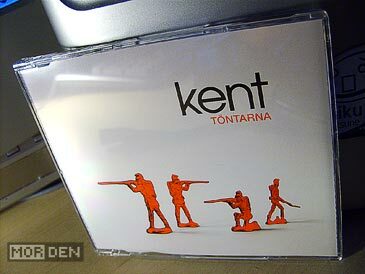 It's been two years since Kent's last studio album Tillbaka Till Samtiden, and yesterday, their new single Töntarna from the upcoming album Röd had its retail premiere, roughly a week after the digital release. I finally got my copy, a day late, because my local music store couldn't be bothered with packing up the boxes the day they have arrived. Running a music store these days can't be easy, and I'm sure that this kind of attitude will lose them customers in favour of on-line retailers who, surprisingly, deliver on time. 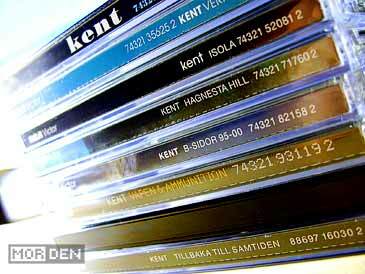 For those who don't know, Kent is a Swedish indie and alternative rock band, whose music I am a huge fan of. They've been active since 1990, and during the last couple of years, they've been drifting more and more towards a sound that I could only describe as a modern take on the '80s synthpop. The noticeable change of style however, did not affect the quality of Kent's releases - on the contrary, based on taste, one could argue that the quality is constantly improving, and that's exactly what kept me a faithful fan of the group. 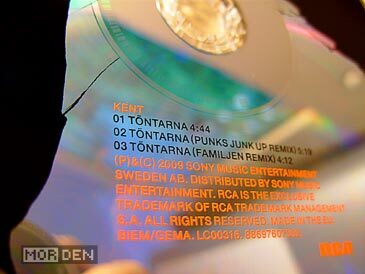 Töntarna, which translates to "dorks" by the way, is a three track single, featuring the title song and two remixes - one by a British DJ duo Punks Jump Up, who have plenty of mix tracks on their list of achievements, and another by Familjen, a one man electronica act from Sweden. This is the second time when Punks Jump Up remix Kent, first one being their version of Vy Från Ett Luftslott from Tillbaka Till Samtiden, and I have to say that their take on the song comes out on top. If you want to listen to the remixes, look up MySpace pages of the respective mixers and knock yourself out. Above is the original song, so before you go on a remix hunt, I suggest you listen to it first. The full album Röd will be released sometime next month and will be available in two versions. One will be a regular CD and the other an exclusive box containing the cd album with an alternative cover, three ten inch LPs, a USB memory stick loaded with mp3 files and a 120 page book. Sounds like a proper collector's edition and I'll most definitely get it, but it will set me back $94. Oh well, at least I won't be buying a separate vinyl this time around. 2009.10.16 Fri Music ♪ Comment Tweet This!